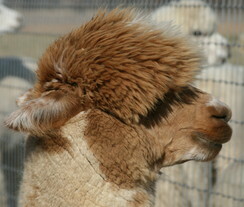 Spa Alpacas Infiniti - 1st place mature males indefinite dark (Judge Mike Safley) - No Championship offered. 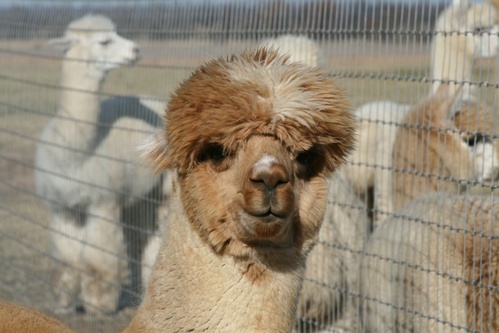 Infiniti's fleece also took a 2nd place in the fleece show with excellent marks for fineness!!!. 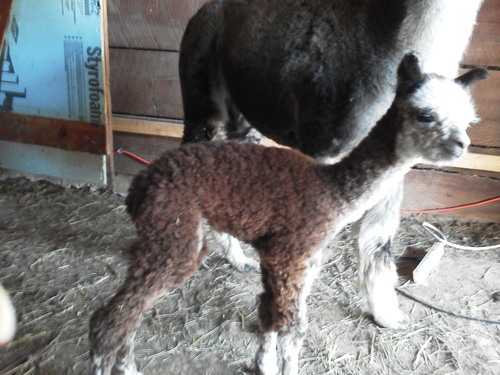 We are completely thrilled with the cria born since Icecapade's move to Kentucky. Icecapade passed along color, density, straight lines, and extreme fineness maintained into maturity. Look for Black Icecapade on the cover of American Livestock Magazine this winter. We are pleased to anounce Angel Fleece Alpaca Farm was the winner of the donated breeding at the Kentucky Classic Herdsire Auction!!! Because we have decided to close all outside breedings to Icecapade soon; we've also decided to drop his fee. Now is the time to secure a breeding for your female; 10% down will secure your breeding. Secret Garden is an exceptional daughter of the incredible PPPeruvian Azul Celeste 4865. Azul Celeste may very well be one of the best white females ever imported into the United States. She was imported from the Rural Alianza region of Peru, well known for it's Quality. Azul is the Dam to some amazing sires including Rensselaer and El Senor and Grand Dam to The Aga Khan. Rensselaer has many Champion offspring, El Senor recently sold at auction for $165,000 and Khan is an 11 time Champion. Everything she puts on the ground goes straight to the show ring. She is presently bred to "Glenn Miller" a Blue Ribbon winning Federal Express son. This should be another show stopper! Secret Garden is just like her mom in looks and fiber. She has thrown us an amazing male Roku's Harronimus, who won a First Place at the Elite and a Fourth at the A-OK Blast Off. Two shows 2 ribbons and we are excited about his future. We purchased Secret Garden and Indy in a package and are so impressed with them both. Indiana Jones (Indy) is an Exceptional Herdsire. He was shown only once by his previous owners and was awarded a Second Place. He has incredibly fine and dense fleece. His coverage is head to toe and consistent throughout. With the champions in his bloodline he has incredible potential. More to come as he graduates to a herdsire and prepares for his next show. Indy is Full Peruvian and Half Alianza which brings an extraordinary combination to his lineage. We can't wait to see offspring from Indy. He will be bred to one or more of our top females this year. His Grand Dam is PPPeruvian Azul Celeste 4865. Azul Celeste may very well be one of the best white females ever imported into the United States. She was imported from the Rural Alianza region of Peru, well known for it's Quality. Azul is the Dam to some amazing sires including Rensselaer and El Senor and Grand Dam to The Aga Khan. Rensselaer has many Champion offspring, El Senor recently sold at auction for $165,000 and Khan is an 11 time Champion. Everything she puts on the ground goes straight to the show ring. 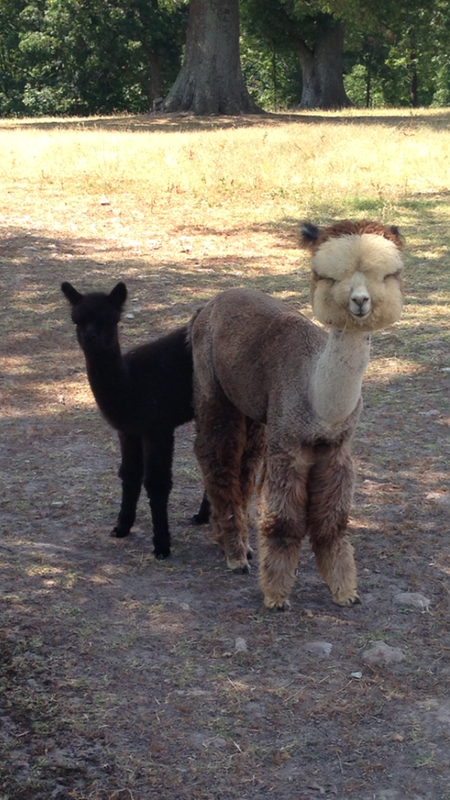 Indiana has his first cria one the ground and she is an absolute beauty. A wonderfully perfect rose grey female out of Timpani. 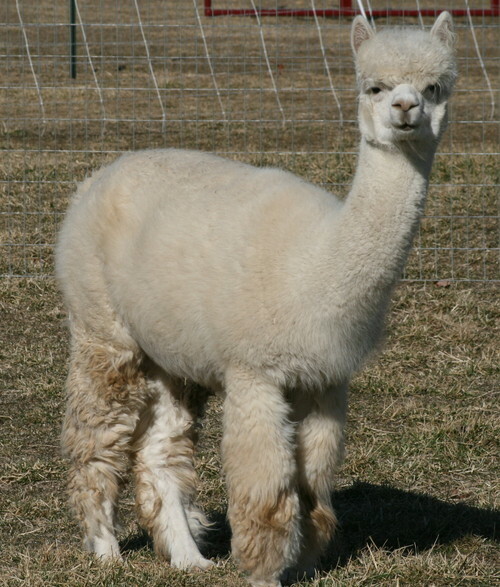 Her name is Akiko and has been sold to Twin Springs Alpacas. We wish Rob and Jamie the very best with Akiko. Creative Financing Packages are Always Available for Stud Fees and Purchases. From 0% for 90 Days to Special Financing for up to 5 Years with a Simple Low Rate that Fits Your Budget. FREE Transport within 100 miles with any purchase. All Prices are Negotiable. Offered on All Sales is a Simple Legal Contract with Solid Guarantees. 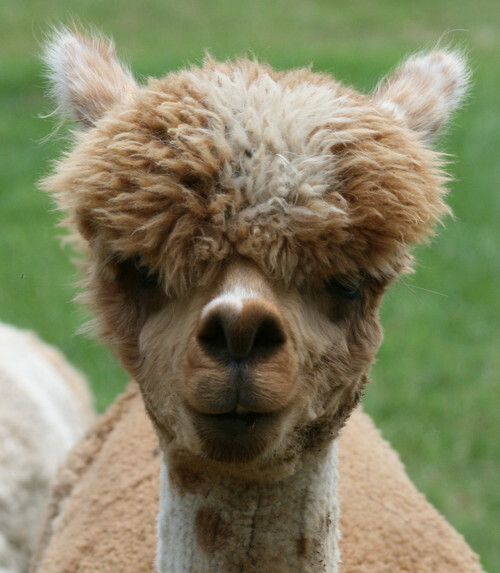 e.g., 30+ days live birth cria. Please call for additional details. We Will Consider Any Offer! All Males and Females are For Sale! You Can Pick and Choose Your Own Package Deals! 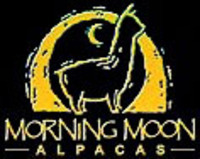 Every Female Alpaca Sells with Our Full Farm Guarantees and a Free Breeding to Your Choice of Morning Moon Alpacas' Incredible Herdsires. WHAT ARE YOU WAITING FOR? MAKE AN OFFER! !